It’s the summertime and you’re probably spending a lot of time outside and relaxing at home. The kids are out of school and everyone wants to have a great time. We’ve come up with our top 5 favorite products to install that will upgrade your home during the summer. Sounds Distribution/Whole House Audio: If you love to entertain in the summer, this is the product for you. Our whole house audio will allow you to listen to your favorite music from anywhere in the house. Your guests will be able to enjoy great sound whether they’re chatting in the kitchen, or lounging out on the deck. Our sound distribution systems are simple, easy-to-use, and elegant. For more information on these products, click here. Outdoor TV Installation: If you’re anything like us, you love to spend as much time outside as you can, especially during the long days of summer. Imagine being able to catch up on your favorite shows or catch a baseball game from the comforts of your outdoor deck or patio. Our outdoor TV Installation is great for entertaining or for personal use and will enhance your outdoor space. Our experienced team will come up with a custom installation plan for the TV and speaker that will best fit your space. For more information on TV installations, click here. Universal Remote Control: Summertime often provides a little extra time to catch up on some TV or watch a great game. If you’re tired of having to use 3 remotes to get the TV on, or if you’re tired of so many remotes taking up space in your coffee table, you will love our universal remote controls. These remote controls allow you to control everything from your TV to the cable box with one simple press of a button. This control is so easy anyone from children to grandparents can use it. If you are interested in learning more about this awesome product, click here. Central Vacuum System: So you’ve thrown the perfect summer party and now it’s time for clean-up. Make the clean-up process a little simpler with our central vacuum system. 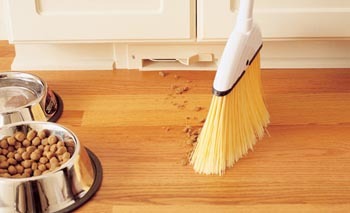 These systems work by using ports throughout your home that you can use to sweep your mess into. This will save you time and energy. Gone are the days of lugging around a heavy vacuum cleaner and having to change out the vacuum bag. The canister, which holds the mess, is installed in your garage and can store thousands of square feet in dust and particles.To learn more about installation for this product, click here. Intercom Systems: During the summer the kids are at home more and often they’re playing with friends or spending time outside. If you need to get their attention and give them a message quickly, an intercom system will make it easy to do so. 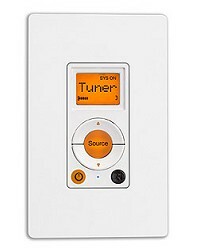 These systems allow you to communicate quickly and easily with anyone inside or outside of the house, and are elegant enough that they will blend in with the room. For more information on these systems, click here. If you’re ready to give your home some upgrades this summer, these are just a few of our favorite features. They’re sure to make your home more relaxed and enjoyable whether your entertaining or taking a moment to relax alone. If you’d like any more information on these products, pricing, or installation information, give us a call at (502)276-7874.